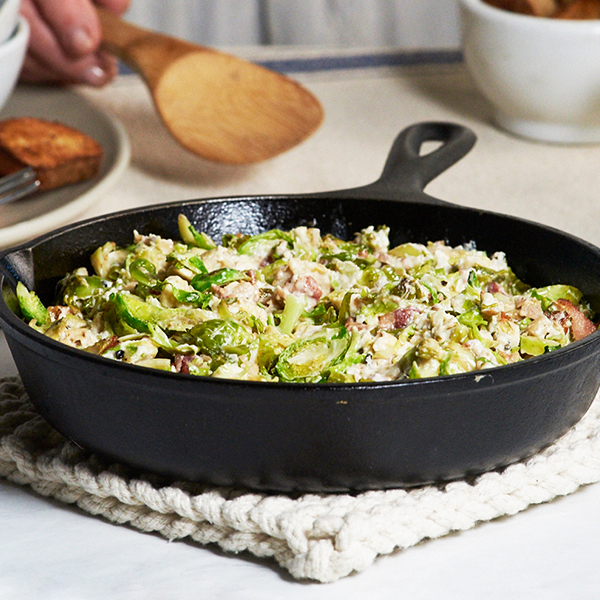 We think there’s a lot to love about brussels sprouts. Their nutty and savory flavor is just one. Add bacon to the mix and our taste buds may explode. 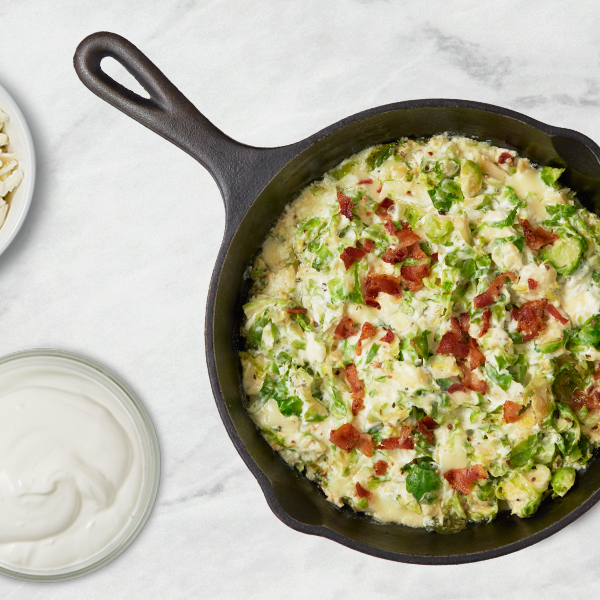 Our friends from DairyPure put together an amazing recipe that features both of these amazing ingredients in their Creamy Brussels Sprouts & Bacon Dip recipe. And bonus: You only need 5 ingredients. 1. Sauté Brussels sprouts in cast iron pan. Cook for 3-4 minutes or until tender and slightly wilted and then remove from heat, turning off burner as well. 2. Add half of the cooked bacon. 3. 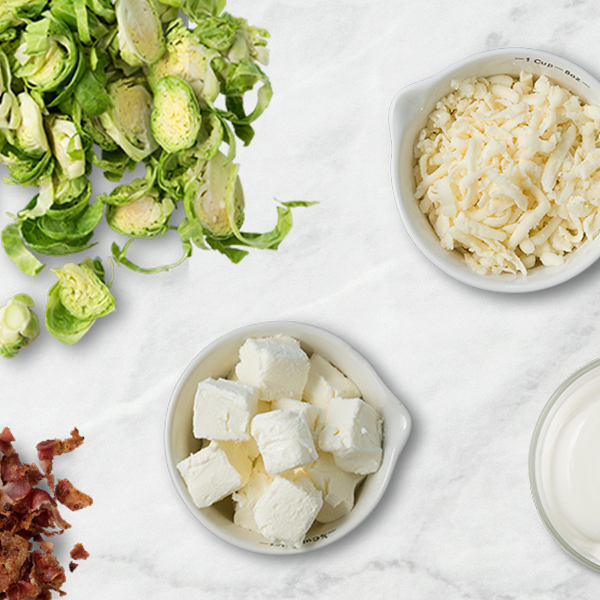 In a separate bowl mix together sour cream, cream cheese, and mozzarella cheese, other half of the cooked bacon and stir. Add Brussels sprouts mixture to the bowl and stir until well combined. Season to taste. 4. Lightly grease the cast iron pan so the dip doesn’t stick. Spoon dip back into the skillet, top with remaining bacon bits, and bake at 375 degrees for 11-13 minutes or until hot and bubbly.